Nowadays no one would argue the importance of using time clock software in the daily work of any service-based business. The management of remote projects cannot really happen without using one. Even medium-sized and large enterprises are employing solutions allowing them to track time spent on projects and tasks. 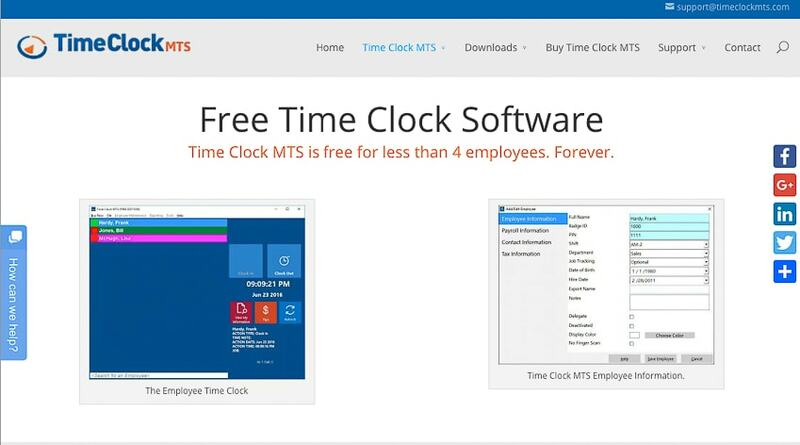 But what exactly is time clock software? Do I need one? How do I choose the best one fitting my needs? All these questions are imminent once you set on the path of optimizing your workflow and team management. In the following lines, I will take you through the concept of time clocking, the notion of usage, how to choose one, and finish up with a few of the best time clock solutions. The time clock software allows you to monitor exactly the time spent on performing project related tasks, as well as distractions such as usage of social networks, emails etc. Historically, the monitoring of employees’ time in the office or factory was done by the usage of a punch card. As computers and the Internet developed, time clock solutions were created, aiming to monitor office work. Some of them still work like the traditional punch cards, but others have evolved into providing much more than simply knowing when someone showed up for work. Sophisticated time clock software nowadays allows monitoring and analysis of time spent on particular tasks and tools. Some solutions even allow geo-tracking, which is very useful for managing a remote workforce – sales teams on the go, field engineers, etc. Additionally, a few are offering much-needed integration with other tools and software used on a daily basis, such as project management, cloud storage, finance, and HR platforms. Who needs a time clock system? Time clock software proves to be very useful for a variety of businesses from small and medium-sized companies and teams to large enterprises. It certainly makes work much easier in the case of managing remote projects and teams. If you are a startup or freelancer, a time clock software can prove to be a valuable tool in your daily work. It allows analyzing exactly how much time you needed to complete a task, project or a step in developing a solution. These time tracking solutions also prove invaluable in the field of workforce management. Especially when in addition to time tracking, it also includes payroll, performance monitoring, and labor budgeting solutions among others. How to choose the best time clock software? Do I need to track simply start and finish time or do I need to track activity throughout the whole workday? How many of my team members will need the time clock app installed on their machines? Is there a scalability option allowing savings and additional features? What kind of features does the a time clocking solution offer? Can it be easily integrated with other tools my team uses in their work? Is there additional effort required to set up a working version? I have prepared a small spreadsheet for you to use once you narrowed down your choice to a few. It will allow you to easily compare the time clock software tools and make a decision easier: Download it here. In the next lines, you will find a short presentation of 4 time clock solutions that will help you get started. No matter if you are running a small or a large team, there is something for you here. One of the highest-rated time clock solutions out there is Hubstaff. It allows very easily to stay on top of how you or your team are using the time. Hubstaff runs in the background without interfering with your work by using the keyboard and mouse activity to track active and idle time. The biggest advantage of Hubstaff is the ability to manage remote project teams and knowing what the team members are doing. The tool’s dashboard shows you which tools they are using, websites visited and general computer activity. It also takes random screenshots of your team members’ screens. Even offline work can be tracked, as Hubstaff stores locally the data and synchronizes with the server once the computer is online again. Additionally, Hubstaff offers integration with more than 30 other project management, communication, accounting or paying tools – Basecamp, Trello, Salesforce, PayPal etc. It is a great time clock solution for small and medium-sized enterprises, startups, freelancers and remote project management teams. Pricing: starts at $5 per user a month. You can also try the 14-day free trial. 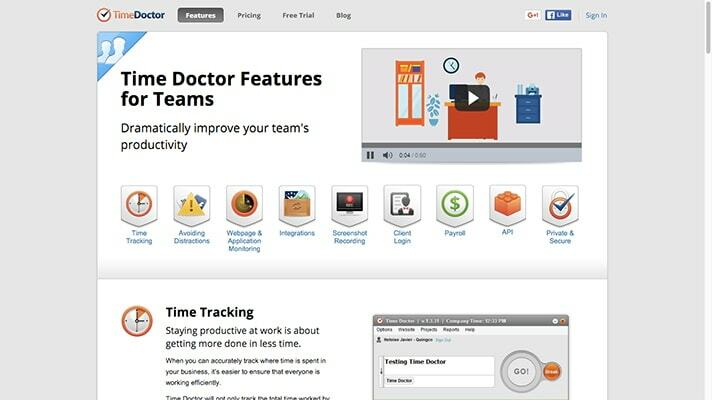 Time Doctor is also a pretty popular solution, allowing remote project teams to remove productivity and reduce distractions. Time Doctor also runs in the background without interrupting the work being done. However, there is an option to switch on friendly reminders in case the team member steps away from the computer and reminding her she is still at work. Integrations with other tools (such as Asana, Basecamp, Dropbox, GitHub etc.) are also possible, as well as payroll, web page, application, and screen monitoring. It also includes an API for further integration with owned software and tools. Furthermore, one can give a client access in order for her to view screenshots and monitor progress. This solution prides itself with the customization available to its users, where one can modify the initial setup to one fitting their workflow better. 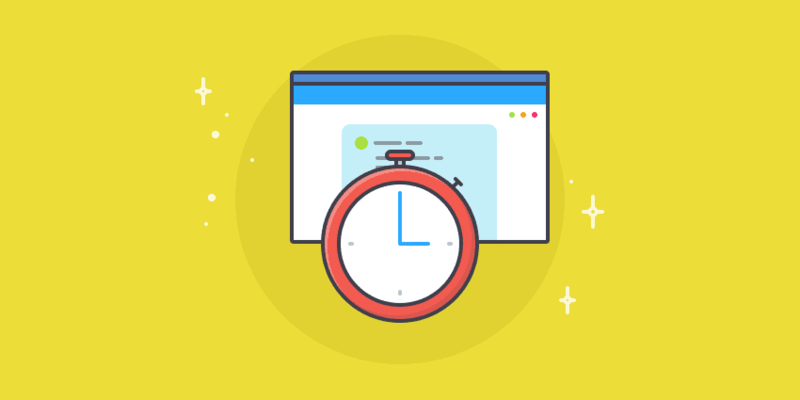 This time clock app is targeted at small and medium-sized and remote project management teams. Pricing: starts at $9.99 per user a month. You can also try the 30-day free trial. Another popular solution is Replicon. This tool is more focused on tracking time and attendance, just like an old-school punching card. However, it also allows for easy monitoring of project cost and captures billable hours. The above-mentioned features are all offered in separate tools targeting the different needs of their target customer groups. Whether you are looking for a cloud-based or enterprise solution, there is also a mobile app, which allows you access anytime and anyplace (as long as you have an Internet connection and your smartphone with you). Replicon is more of a time monitoring solution than something really fitting the needs of a remote project team or a startup. At the moment no integration with popular remote project management tools is provided. This software is more targeted to medium-sized and large enterprises. Pricing: starts at $14 per user a month with included the 14-day free trial. 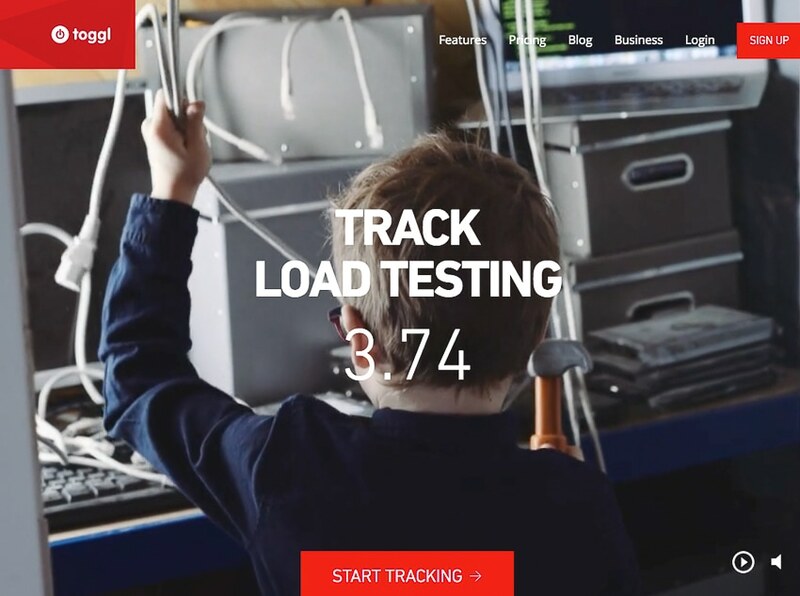 Clicktime is an enterprise-grade time clocking solution aiming to satisfy the needs of large companies without having them investing heavily on homegrown IT tools. It focuses on time and resource planning, through offering an extensive set of reporting and data extracting features, as well as additional modules, such as expenses, project estimations and application integration. A built-in automated email process keeps you on track without having to chase down people or projects. A mobile access to timesheets is also available for those willing to access information while being away. As you have probably guessed already, Clicktime’s customers are mostly large enterprises. Pricing: starts at $10 per user a month, including 30-day free trial. In the following lines, you will find another 21 time clock tools and platforms, which might help you. They vary on scale, size, cost and business focus. ExakTime is a cloud-powered workforce management and time tracking software. It allows clock-in and clock out, secure access anytime, exports and processing. It features GPS tracking and photo verification system, too. It works on all major OS and devices. The price is tailor made per enquiry through a contact form. 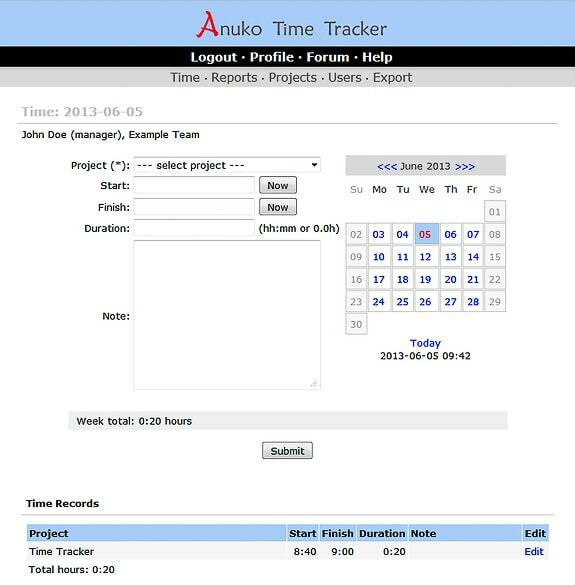 Anuko Time Tracker is easy to use, open source, web-based time tracking application. It focuses on tracking the time team members or employees spend working on projects and tasks. It needs a web server setup already in place – such as Apache, IIS, etc., and a database to store the data in, such as MySQL. Anuko allows to track time by project and task, create custom fields, and run detailed reports for small and medium sized teams. It is free for small teams consisting of up to 5 users. If you want more, you will need to pay a monthly fee of $0.50/10 users or $100 for a VM Virtual Appliance, which comes fully installed and ready to use. Zoho People is a full HR solution monitoring attendance and time-off management, web and mobile check-in and check-out, billable and non-billable hours logging, export reports in multiple formats etc. It is free for 5 users. You can also start with a 15-day free trial and then choose one of the plans starting at $19/month. CKZ Time Clock is a free time clock application. It is customizable for payroll reporting, easy to use, monitor employees’ hours in real time, manage time attendance and overtime, track vacation time, sick and holiday pay. CKZ Time Clock works only on Windows-based computer. It is free for up to 3 users with a disabled system level security. 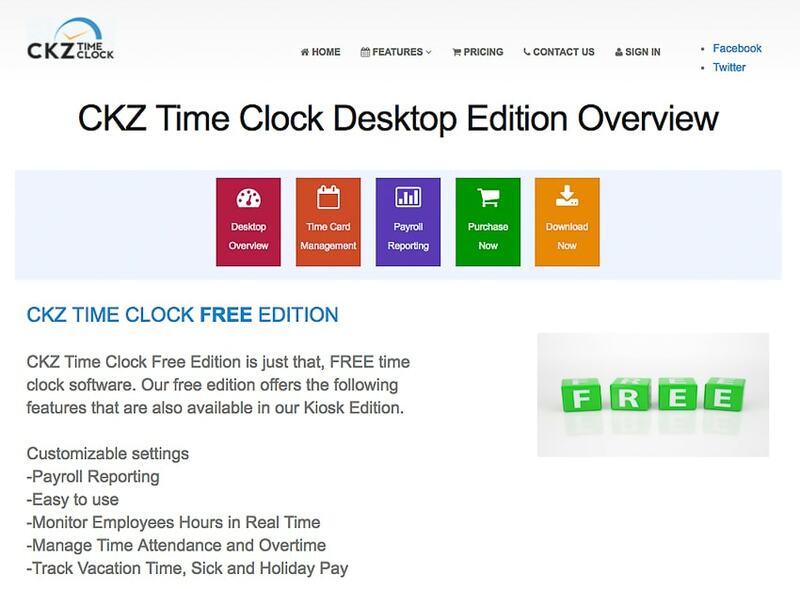 But if you are looking for more, the CKZ Time Clock Network Edition is available for a one-time fee of $69.95. 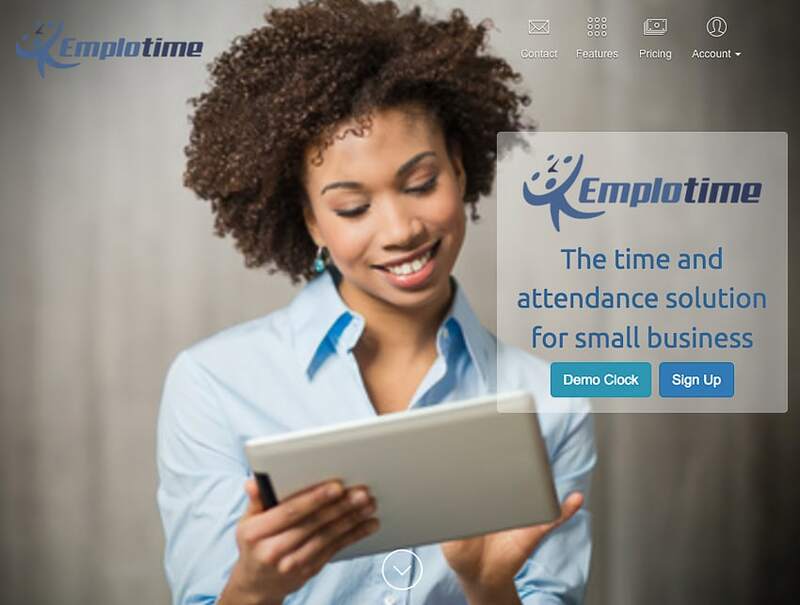 Emplotime is a web based time clock platform aiming at small businesses. It features, among buddy punch lockout, export reports, geolocation, daily and weekly overtime, and 24/7 support among others. Plans start at $5/month for up to 5 employees. 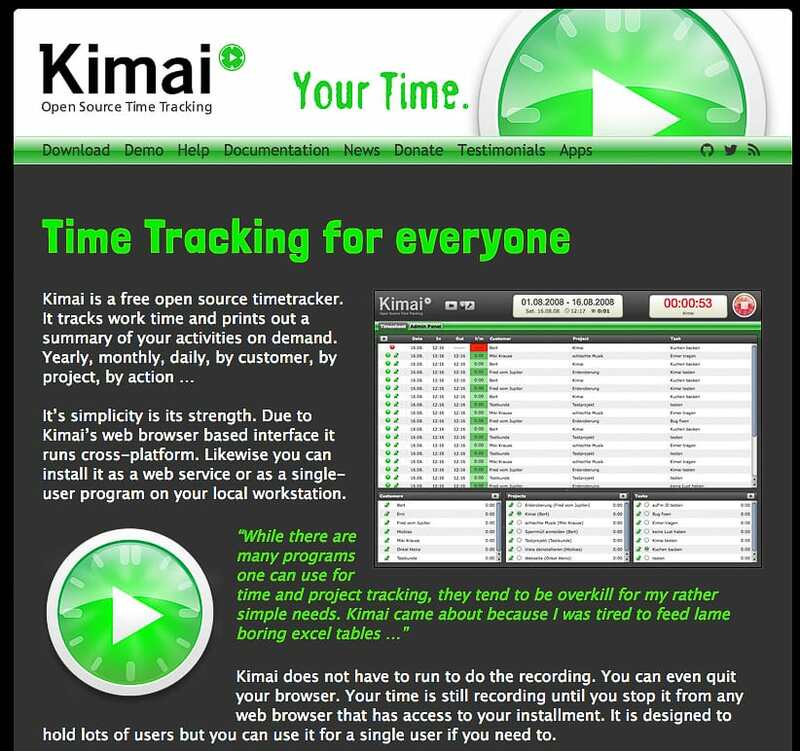 Kimai is an open source time tracking software working under Windows, Mac, and Linux. You can with it from a web-browser like other cloud-based software or as an installed single-user program on your computer. Kimai is simple to use. It tracks employee work time and classifies it by customer, project, and action, and printable summary is also available. Kimai is free and localized to 15 different languages. Toggl is a time tracking and billing app. It is simple to use, aiming to help everyone on your team stay on the same page while working on projects. Toggl allows you to create and assign projects, export reports and time audits. It also syncs offline hours with those tracked online. The app is available on desktop, iOS, and Android. Toggle is free for up to 5 users. Afterward, plans start at $9/month. Open Time Clock is a free online based time clock system with unlimited user pool. It is a reliable and secure platform for any team size. It tracks employee’ time, absence and schedule. Additionally, you can restrict your employees only clock in/out from certain networks or computers. It features also web camera supported to avoid pal punch in/out. Open Time Clock is accessible on a variety of devices and OS platforms. Open Time Clock is free with limited features. If you want more, plans start at $30/month or 300/year. 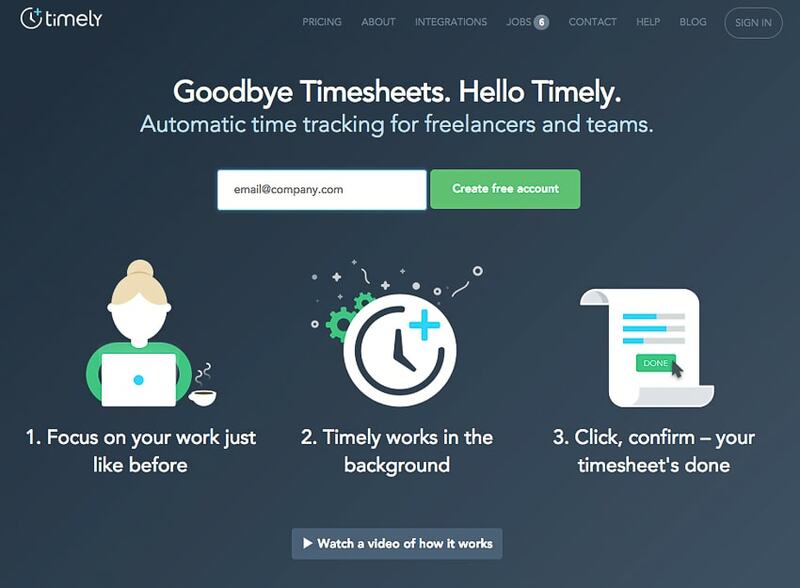 Fanurio is a time clock and invoice solution designed specifically for freelancers. It allows you to you to categorize work done by projects with the usage of tags, billable, and nonbailable projects. It gives a freelancer the opportunity to analyze and increase productivity with reports comparing time, expenses, and profit. Fanurio is available for Windows, OS X, and Linux. IT also allows you to export and import all data created within the program. 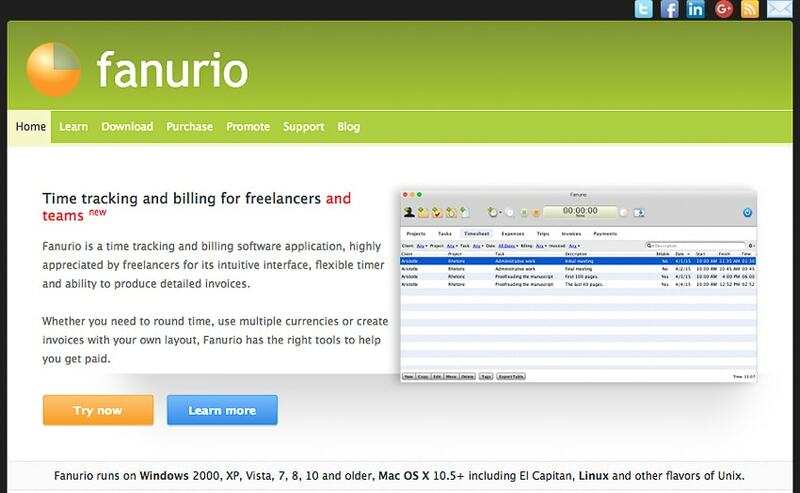 A single Fanurio user license with an annual maintenance plan costs $59. Time Clock MTS is a time clock software offering flexible reporting and powerful security. 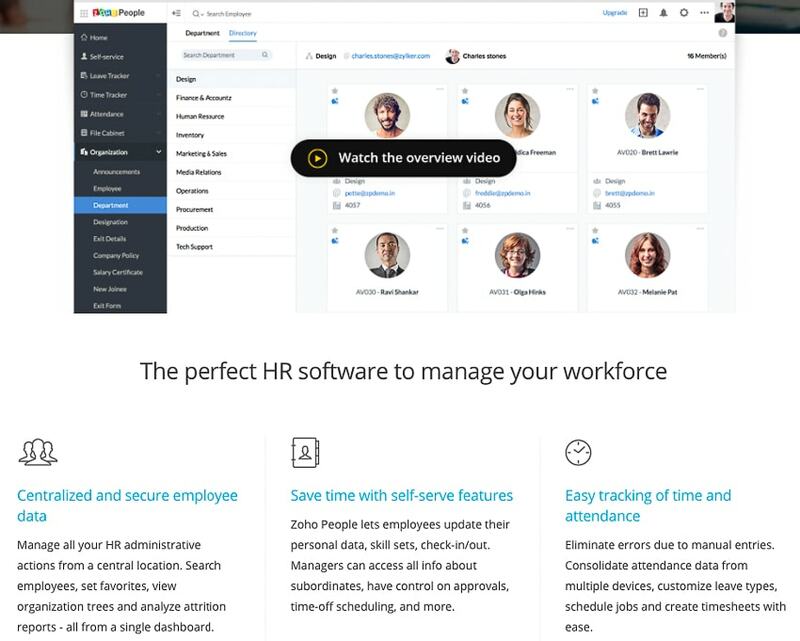 It includes features like employee time-tracking, time off requests, fingerprint attendance tracking, and the ability to take webcam images of team members as they clock in or clock out. It is free for up to three users. Additionally, there is a paid version for a $79 one-time fee. Timely is an innovative time clock software, allowing you to use popular calendar apps (Microsoft, Google, and Yahoo). 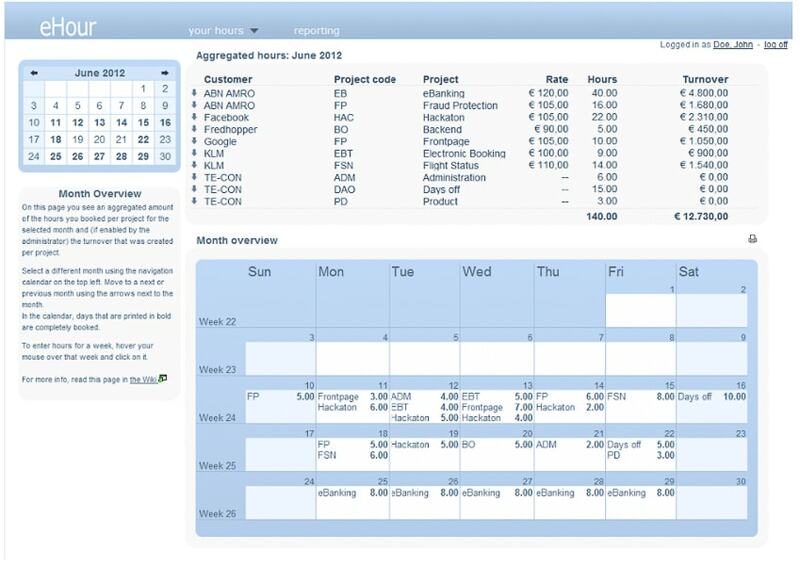 It features auto import of tasks, meeting, and events, giving you an estimate of your hours. Timely works in the background. 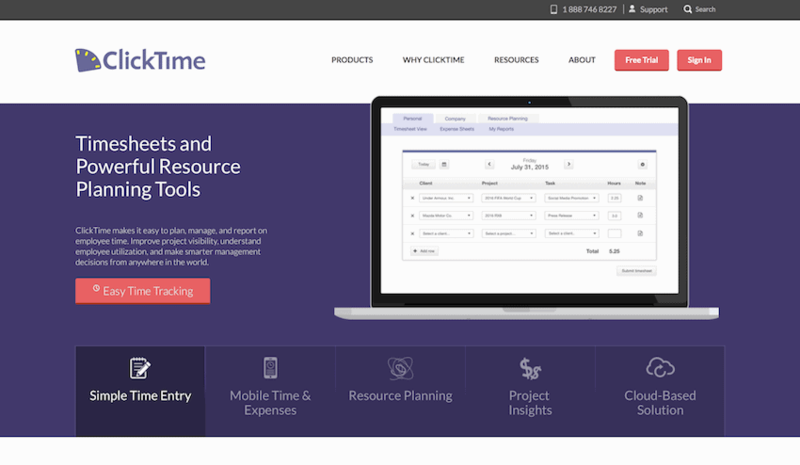 Timely is free for individuals with up to 5 projects. For multiple users and projects, the plan starts at $14/month per user. Time Clock Wizard offers schedule employees with alternating work days, pay rates, reimbursements, and instant customizable text and email alerts to employees and managers. Additionally, its reporting function is rather extensive – payroll, timesheets, schedules and PTO reports are available as exports. This software is available on a variety of OS platforms, as well as iPhone and Android apps. 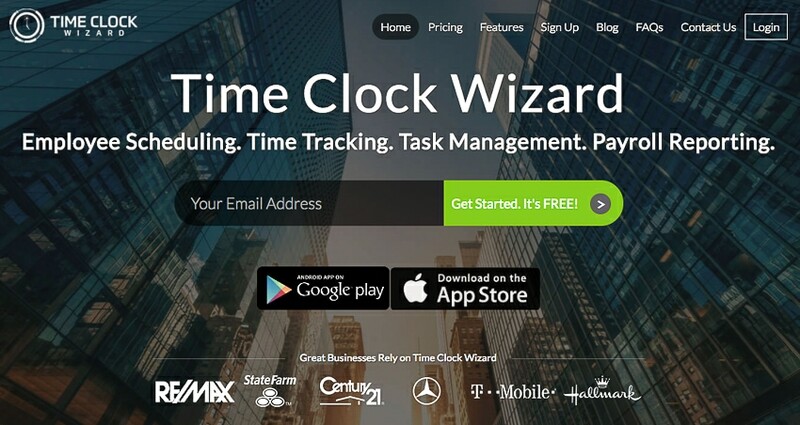 Time Clock Wizard is free for up to three users and beyond that starting at $12.95. Mavenlink combines project management, time tracking, resource planning and project financials in one place. It is a cloud-based app. In addition to the time clock, it makes project assignments, transfer of files and communication, based on permissions. 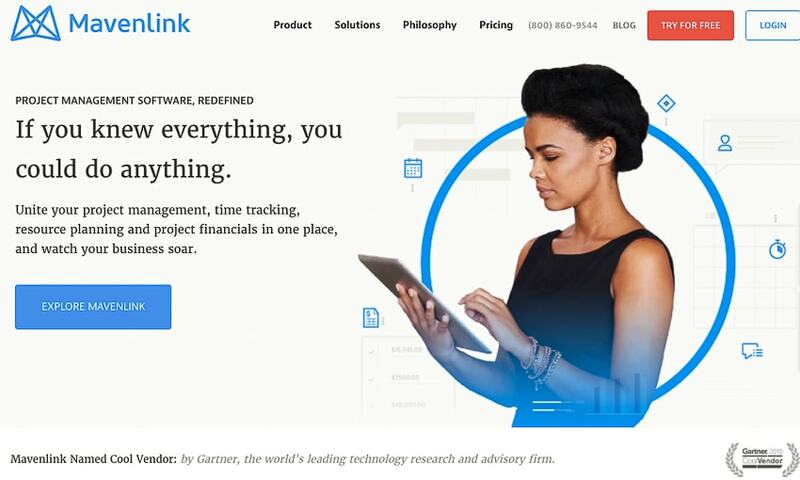 Mavenlink works well with Google Drive, Salesforce, and Quickbooks. Mavenlink plans start at $19/month for 5 users. 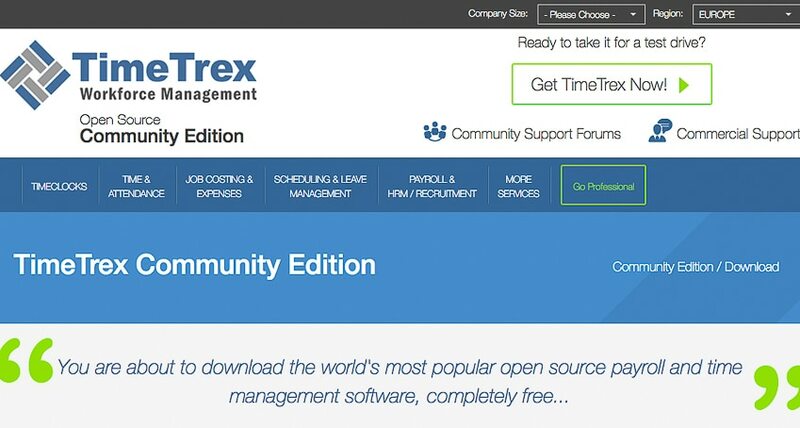 TimeTrex Workforce Management is an open source time tracking software. It features flexible pattern scheduling, efficiently track and monitor employee attendance, and fully integrated payroll processing at the click of a button. TimeTex is available on all main OS platforms. 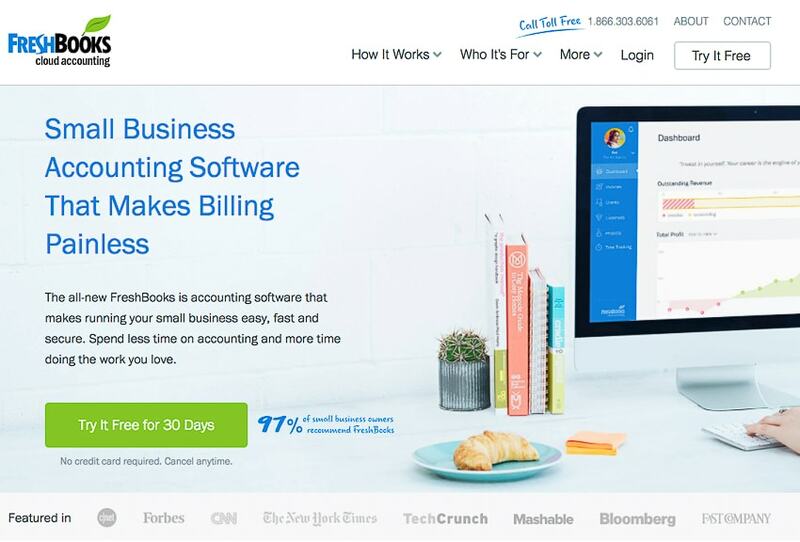 FreshBooks is an accounting solution making billing painless for small businesses. You can easily track the hours spent working on a client’s project. There is a timer you must start at the beginning of you work and respectively turn it off. It features a breakdown of your day, automatic billing against projects, and detailed time entry notes. FreshBooks offers a 30-day trial version. Afterwards, plans start at $15/month for up to 5 active clients. 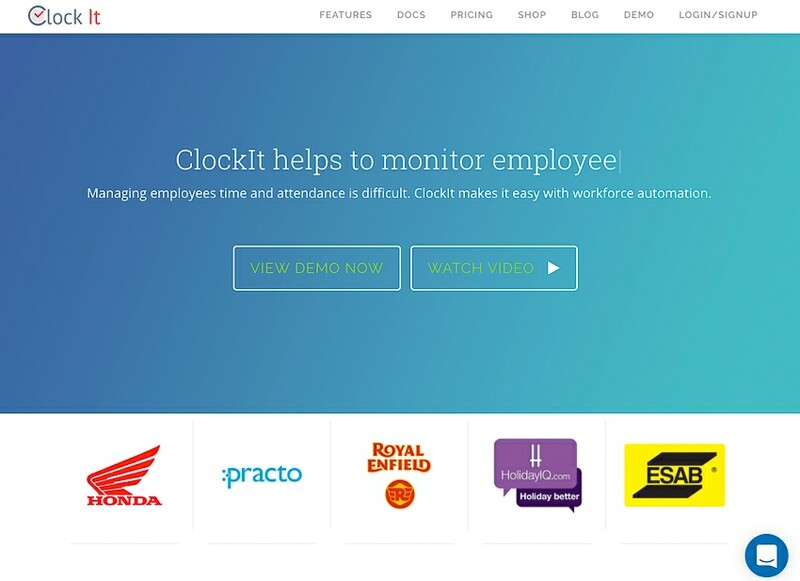 Clockit is a cloud-based time and attendance tracking solution. It has a web-based punch-in and punch-out option and graph reporting. 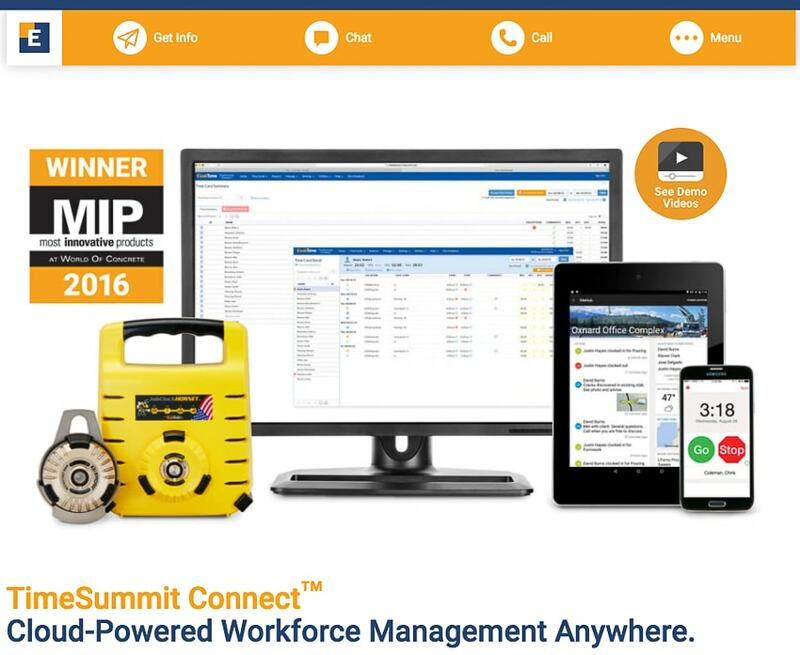 Additionally, its mobile version brings route mapping and employee GPS tracking. Clockit is free for up to three users. If you want more, the plans start at $8/month. 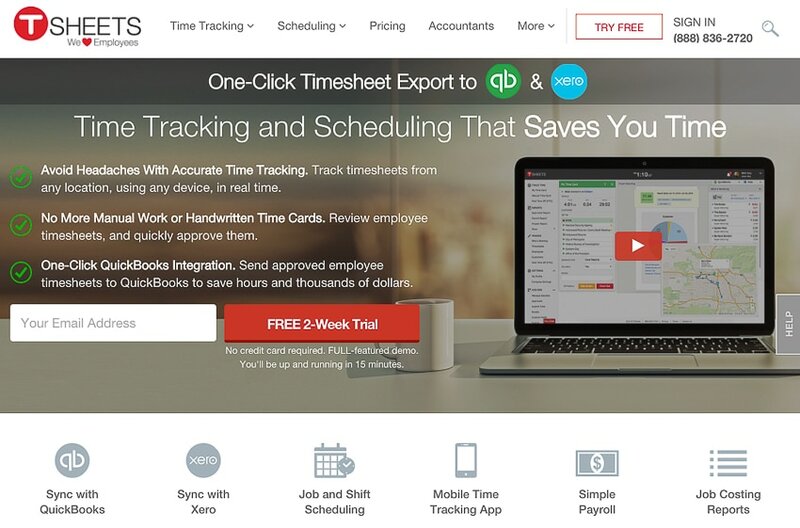 TSheets is a time clock and scheduling solution. It features job and shift scheduling, mobile app tracking, job costing, and synchronization with QuickBooks and Xero. TSheets also handles GPS tracking and provides an iOS and Android app. TSheets offers a 14-day trial period and free for one user. Then plans start at $4/month per user + $16/month base fee for at between 2 and 99 users. eHour is an open-source, web-based time clock software. It features timesheets, employee and customer time blocking, and time-off requests. It also offers reports on time clock data on a daily and monthly basis. eHour is free of charge. SwiftTime by Soniga is a traditional punch in and punch out time clock web-based platform. Although it does not possess state of the art design, it features time tracking, punch in and punch out features, and allows employees to view their schedules and request time off in-app. SwiftTime is free for up to 15 users. For more, you must pay to start at $10/month. 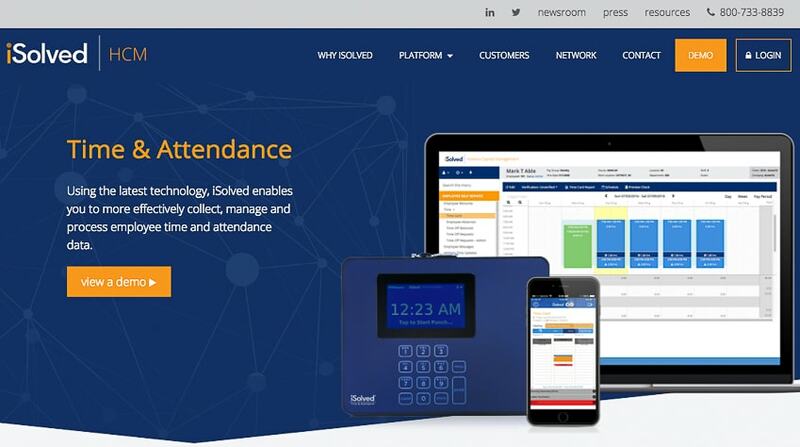 iSolved is a time clock and attendance platform. It allows employers to track and monitor overtime, rounding, meals and breaks, error monitoring, and other time policies for complete and accurate time cards. iSolved is targeting large businesses and pricing starts at $2.70 per employee. 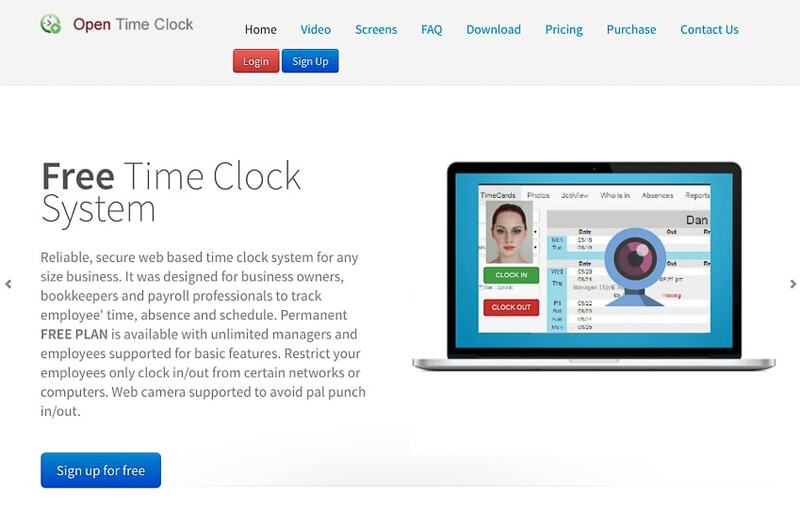 clockspot is a time clocking system aiming at tracking employee time from anywhere. It offers to clock in from approved devices, real-time monitoring of who is on the job, and overtime, time off, and payroll reporting. clockspot’s pricing starts at $5/user + $10/month base fee. Time clock apps prove to be an essential part of managing any remote or in-house team in a way that will allow you to feel more confident in the work down and providing you with the data to make decisions affecting the future of your business. A careful consideration is needed in order to pick the right time clocking solution, which will add value to your work. Be sure to do your homework. You won’t have to backtrack afterwards.